Newly remodeled, with updated exterior paint, on oversized corner lot, in the heart of town! 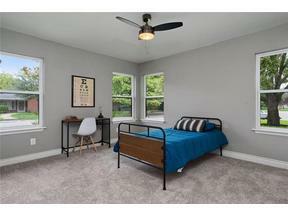 4 bedrooms + Office OR 5th Bedroom +2 Living Areas + Additional Bonus Room w/ wet bar/kitchen. Extensive upgrades throughout! See attachment for list of upgrades. City water PLUS irrigation system ties into well on property. New stainless steel appliance package. Corner lot allows for side-access for recreational vehicles; mature trees, backyard perfect for entertaining! Disclaimer: All information deemed reliable but not guaranteed and should be independently verified. All properties are subject to prior sale, change or withdrawal. Neither listing broker(s) nor Keller Williams Realty shall be responsible for any typographical errors, misinformation, misprints and shall be held totally harmless. Database last updated 04/18/20196:10:23 AM.